I got stuck at yellow lines, dont understand what it's gonna do. Need advice or help, thanks! I believe this code is just getting input_flag and using a Caesar cipher with the first letter of input_flag. 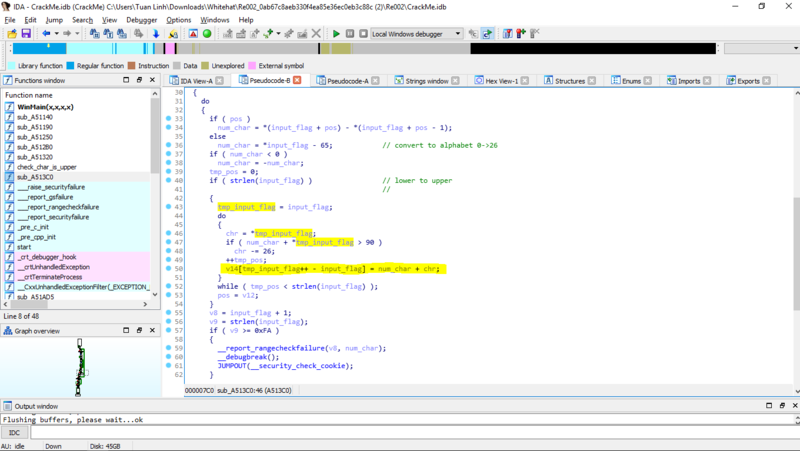 tmp_input_flag is just a pointer to the current char of the whole string which starts with input_flag. Note that if ASCII values less than 65/'A'(line 38) are used the results are not influenced by the same shift value. IDA doesn't understand -0.0f (0x80000000)?